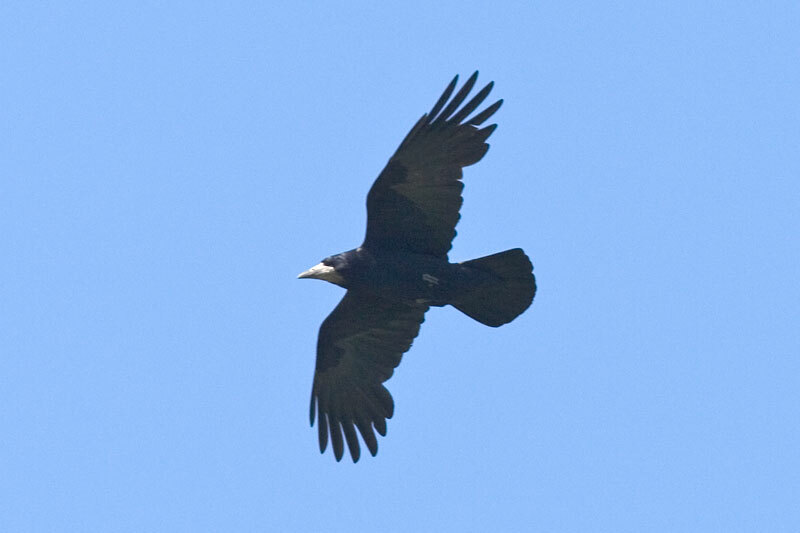 The Rook is distributed in most of Europe and across southern Siberia to Central China. It breeds in large colonies in groups of tall trees but avoids dense woodlands. It can be distinguished from the similar Carrion Crow Corvus corone by the bare greyish-white skin round the base of the bill in the case of adults. In the case of the juvenile Rook (photo 3), it can be separated from the Carrion Crow by the longer, more pointed bill. 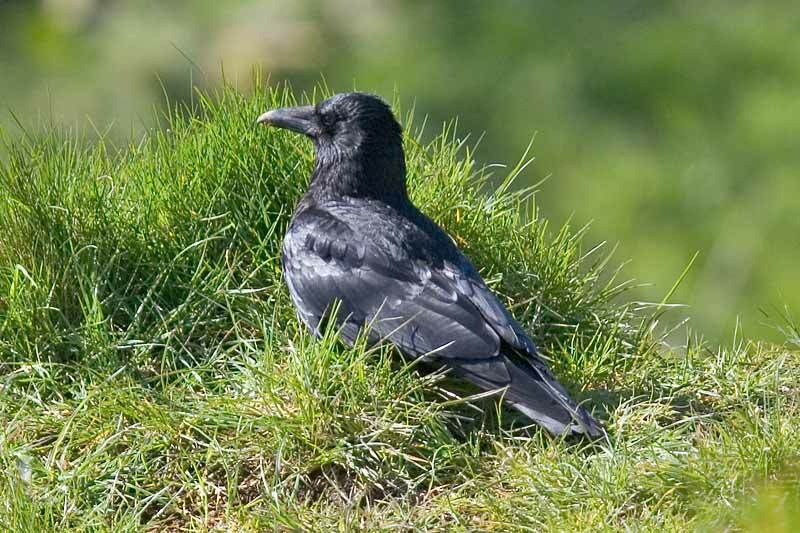 Rooks also tend to have glossier plumage and a steeper forehead. 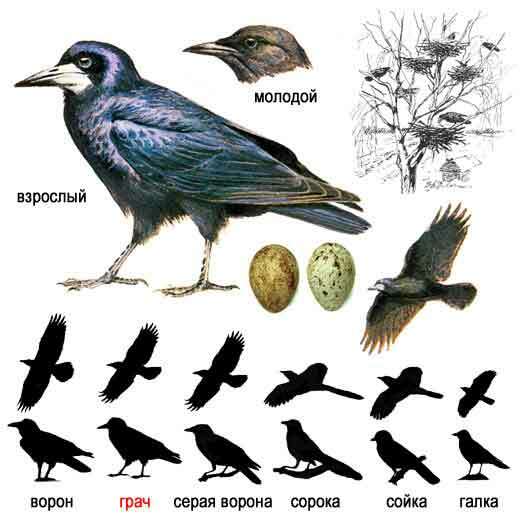 Another distinguishing feature is that Rooks are almost always in large flocks while Carrion Crows are found singly, in pairs or in small flocks. "A Rook on its own is a Crow; and a Crow in a crowd is a Rook" as my ol' Granpappy used to say.